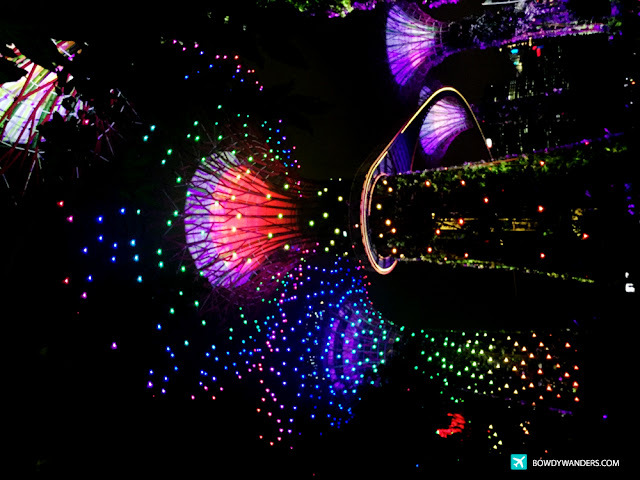 Starry starry nights are apparently not on Singapore’s night sky often, which is why it is quite ideal to spend the night beneath the Super Grove Trees of Gardens by the Bay. 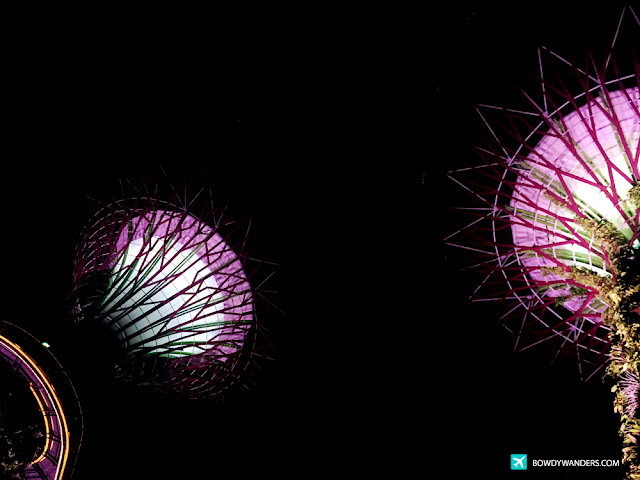 Not only is it a stunningly sensory experience, it also is an interactive visual that can extraordinarily tickle your fascination for luminous spheres of glow-in-the-dark lights. 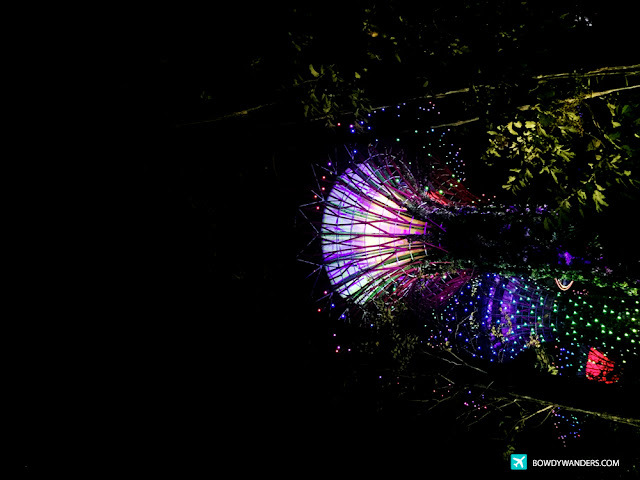 It’s indeed larger than life to all things illuminating and striking. 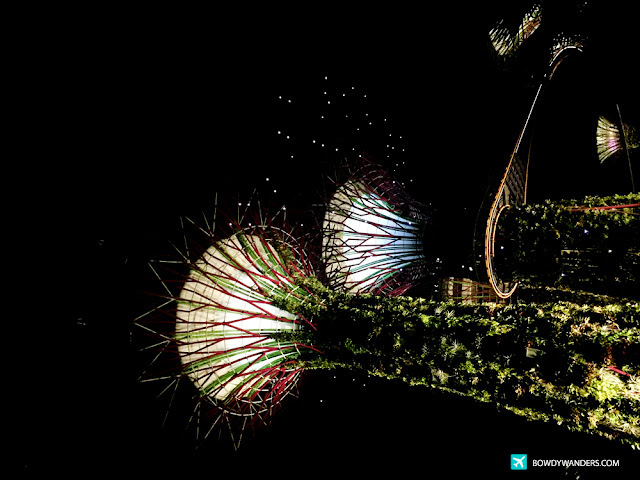 Awarded by TripAdvisor is one of Singapore’s Top 5 Landmarks, these twelve (12) Supertree Groves are iconic to look at. 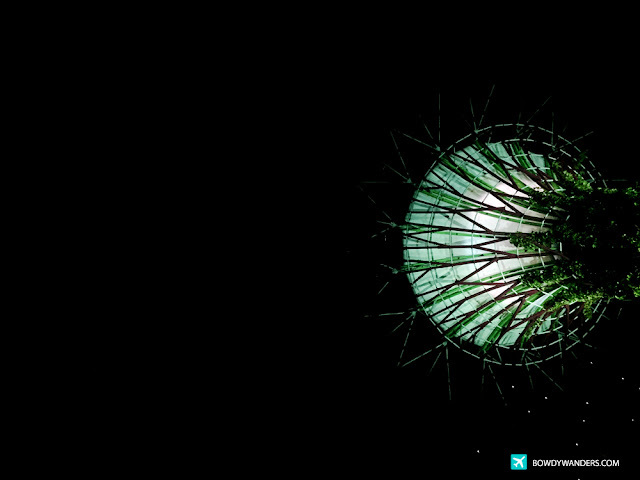 It measures around 20-50 meters tall, and looks like it’s taken from the lush alien world of Pandora, in the Avatar movie. 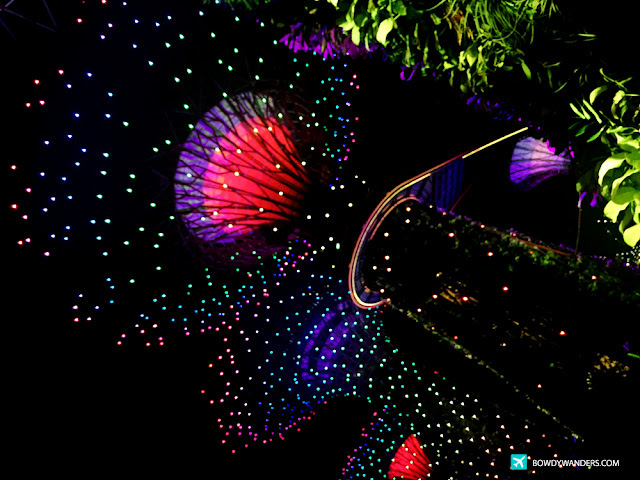 It’s especially attractive and pretty, and provides an exhilarating display of light and sound at night. 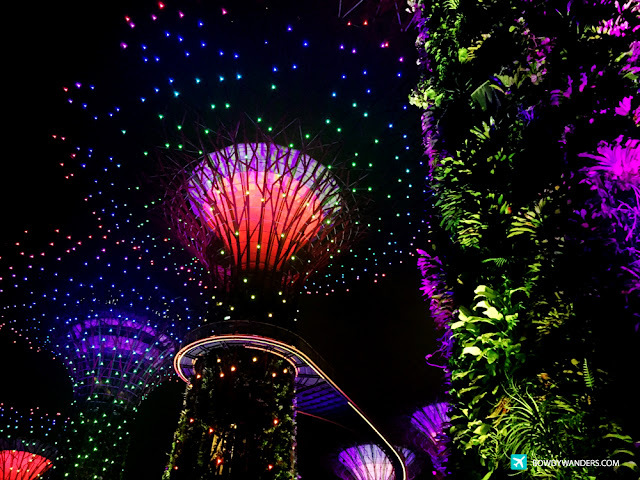 You can hang around the area, or you can also take in a slightly different vantage point of the Gardens via a stroll along the OCBC Skyway, which is a 128-metre long walkway connecting two Supertrees at the Supertree Grove. 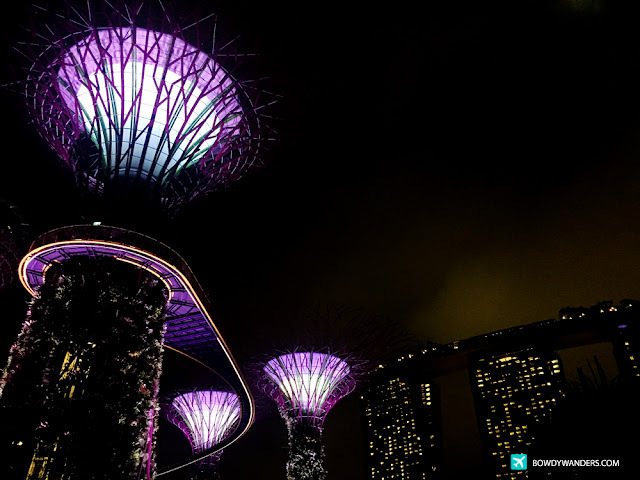 Furthermore, you can also dine in at the 50-metres high Supertree-top bistro, with panoramic views of the Gardens, as well as the surrounding Marina Bay area. 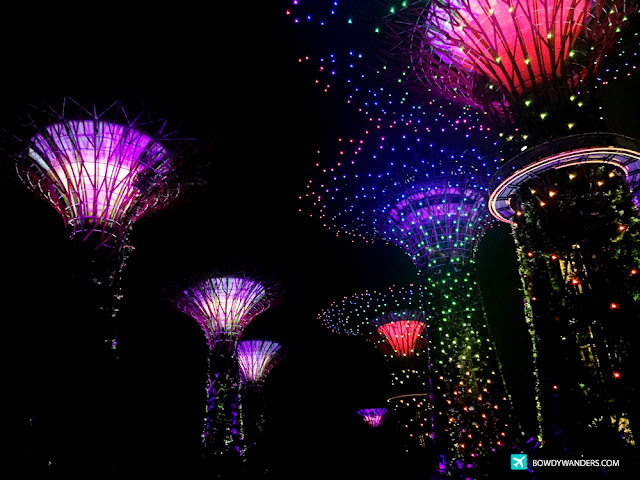 You can easily spend a few hours of your night tour here when you are in Singapore. 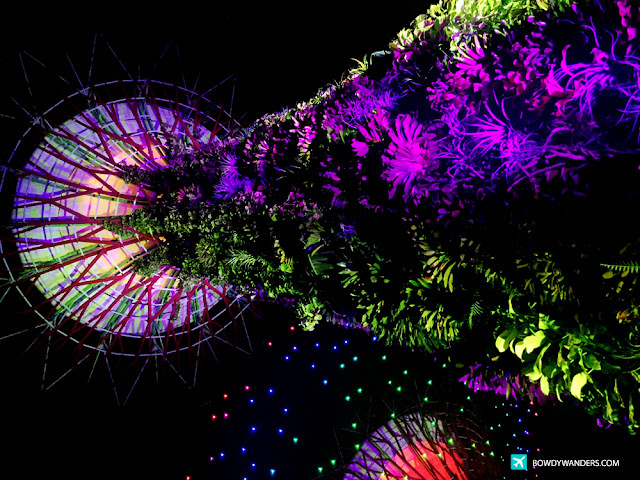 Take the Circle or Downtown line to Bayfront MRT, and be sure to get a map to get to the SuperTree Grove park. 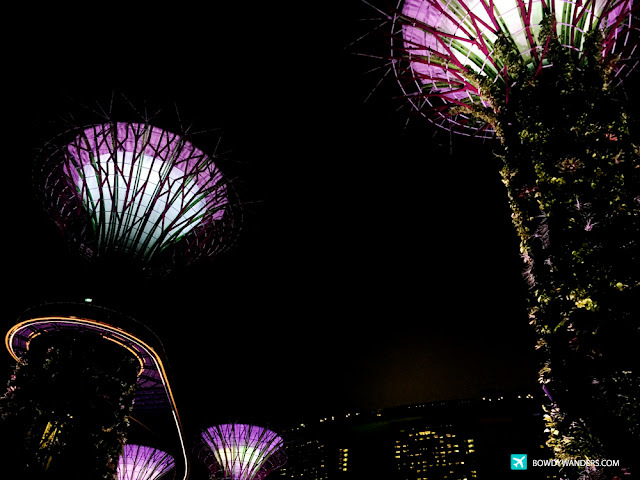 You can spend a few hours at the two winning indoor conservatories before heading to this particular park also. 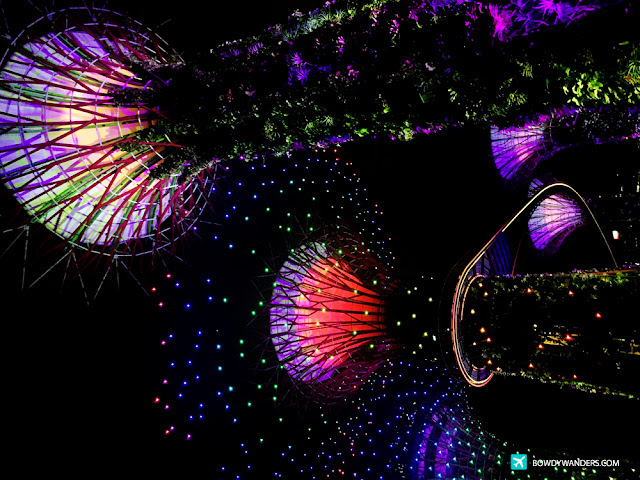 Starless nights won’t be much of an issue if you are here in the Super Grove Trees of Gardens by the Bay. Now, who wants to do a night out camping here? Yes, me. Opening Hours: Daily 5:00 A.M. – 2:00 A.M.